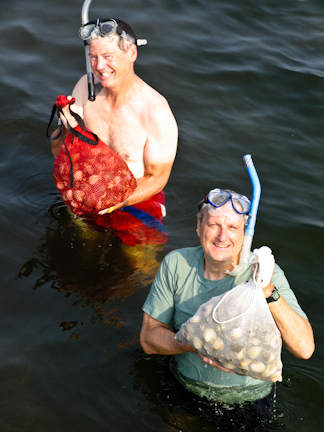 Depending on the whims of Florida’s governor and the Florida Fish and Wildlife Conservation Commission (FWC), Florida’s recreational scallop harvest will begin in late June or on July 1, 2015. 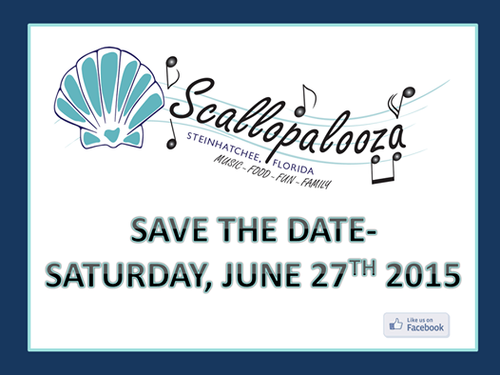 As a prelude to the fun and good eating, the folks at Roy’s Restaurant in Steinhatchee are again sponsoring “Scallopalooza 2015”, a day of music and family fun. The event starts at 3PM and ends at 10PM with lots of entertainment for the whole family. Then, it’s time to go scalloping!